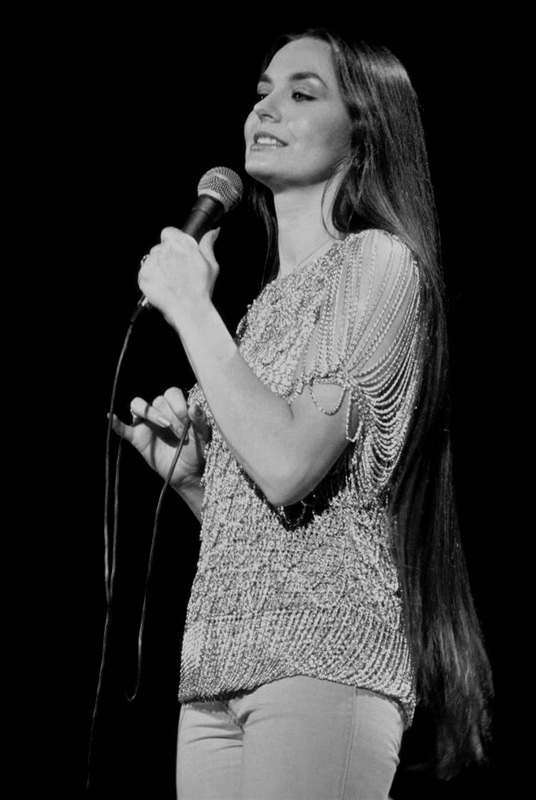 My mum was a Crystal Gayle fan and I’ve got a nostalgic soft spot for her music. Heard at the right moment, in the right mood, her music – her voice, more specifically – can plug directly into something in me. I think she’s an amazing ballad singer who would be much more highly thought of if so many of her records weren’t quite so slick-sounding. To appreciate her oeuvre you’ll have to be OK with a little corn, but frankly, corniness is almost the defining quality of seventies country-pop. Perhaps it’s the defining quality of country music generally. Maybe it’s only the rawness of the delivery of a Hank Williams loves song that makes certain music fans hear it as something fundamentally different to a Crystal Gayle song. Talking in Your Sleep (from the 1978 album When I Dream) is certainly a lyric that Hank would have understood. A song like Talking in Your Sleep, then, represents on one level the Hollywoodisation of country music. While the song reaches back into country tradition lyrically (singer lies awake watching sleeping partner, wonders if partner is in love with someone else – as I said, any worthwhile country singer from any era could sell that idea), its arrangement and production – which begins with just Gayle’s voice and string section and ends with harp glissandi – was specifically designed to cross over to a pop audience and capitalise on the success of the jazzified Don’t it Make My Brown Eyes Blue from the previous year’s We Must Believe in Magic. Which it did, with ruthless, targeted efficiency. That it succeeded so well is down to Gayle’s vocal and the quality of the writing. Talking in Your Sleep may be corn, but it’s very cunningly written corn, by transplanted Bristolian Roger Cook, who also wrote I’d Like to Teach the World to Sing and the peerless Something’s Gotten Hold of My Heart (if you’ve never Gene Pitney’s original recording, you must; it’s astonishing, melodramatic, over the top, and absolutely awesome). Producer Allen Reynolds, meanwhile, certainly knows how to cross over to the mainstream; he produced every Garth Brooks studio album from his debut up to the baffling Garth Brooks… In the Life of Chris Gaines (which was helmed by Don Was – though he probably hopes we’d forgotten that). This entry was posted in Music and tagged 1950s, 1960s, 1970s, 1980s, Allen Reynolds, Billy Sherrill, Chet Atkins, country music, crossover, Crystal Gayle, Don Gibson, Don Was, Don't It Make My Brown Eyes Blue, fiddle, Garth Brooks, Gene Pitney, George Jones, glissandi, Hank Williams, harp, I'd Like to Teach the World to Sing, In the Life of Chris Gaines, jazz, Jim Reeves, Loretta Lynn, Nashville Sound, orchestra, Owen Bradley, Patsy Cline, pedal steel, piano, pop country, Roger Cook, roots country, Something's Gotten Hold of My Heart, strings, Talking in Your Sleep, Tammy Wynette, We Must Believe in Magic, When I Dream on July 30, 2015 by rossjpalmer. Since I was able to get my hands on a 4-track recorder as an 18-year-old, I’ve preferred recording to playing live, and I’m sure I always will do. I like playing live when it goes well, but there are so many factors you can’t control that make it stressful, from the size of the audience that will show up to technical problems striking right at the moment when you’re on stage and can’t do anything to solve them. At one gig I played once, at 93 Feet East in London, the power went out on Brick Lane from Whitechapel High Street up to Shoreditch, about half an hour before doors. We had little choice but to play the whole gig completely unamplified, in a big room, lit only by emergency lights and candles. Recording sessions can be stressful, but things seldom absolutely need to be got right in this one particular moment. You can always do another take, you can always come back another day. Being a recording musician is less stressful than being a performing musician; being a recording engineer is less stressful than being a front of house engineer. And I’ve been all these things at one time or another. As my love of recording grew, my enthusiasm for live music waned. Partly this was a matter of simple economics. I was not well off at the time (as in, didn’t know from week to week if I was going to earn any money, or get paid for the work I had been already completed), so what spare money I could amass had to go on recording equipment and instruments worth recording. But it was also a matter of not being enthused by the idea of live music any more. I was so passionate about the possibilities offered by recording that there wasn’t much room left in my life for any other interest. My devotion to learning the craft bordered on the pathological. When I wasn’t actively engaged in a recording project, I was thinking about it. Theorising. Reading. Studying. Listening. Especially listening. I made a playlist of songs culled from every significant rock record I could think of from the late eighties to the present day and I listened to them all over and again. Listening for sounds, for trends, for techniques. For months, I didn’t listen to songs; I listened to drum sounds. For weeks within those months, I didn’t listen to drum sounds; I listened to snare sounds. I listened to how much close mic was being used as opposed to overheads, or whole-kit stereo mics or room mics. I listened to how quick the compressor’s attack was set, and how long its release was. After a while, where a normal person would hear a drum, which they may or may not be able to identify as a snare, I could hear a snare that went ‘blap’ or ‘wap’ depending how much the attack had been blunted by compression. I could hear how whether it was tight and dry, or big and ambient. I could hear how long the echo was, and make a decent guess at whether it was real room ambience or a digital simulation. I could sometimes hear a shift in snare sound in the midst of a quick whole-kit fill, suggesting the use of noise gating on the tom-toms. I got hung up on whether panning drums from the audience’s perspective was more satisfying than panning from the drummer’s. Recording engineers care about this stuff. It became my life for a couple of years. The dedication required to learn all this – the stuff you’ll need to learn if you’re searching for timeless, emotional perfection in the studio – automatically led to less interest in live performance, as a player and a fan. For years, I hardly went to gigs unless I or a good friend was playing one. But in the last year or so I’ve started to go to more. I’ve got enough disposable income that I can, for one thing, but also I had an experience at a gig coming up for a year ago that was something of a revelation. Early on in my relationship with Mel, we went to see Hem play at the Union Chapel, which we’d both been to a couple of times before and both loved. It’s a gothic-revival church in Islington, North London: stone, marble, high ceilings, wooden pews – it sounds great for the right kind of show, for sit-down, acoustic music-type gigs, and of course the fact that it’s so beautiful just adds to the atmosphere. 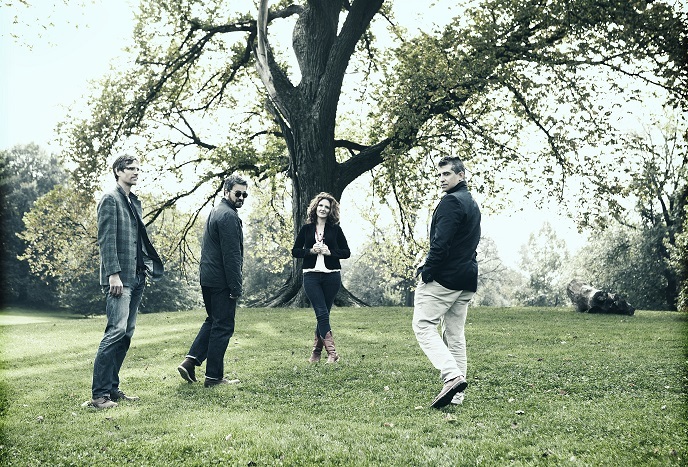 They’re a Brooklyn band dreaming of other, more pastoral locales: the folkist regions of Appalachia, the countrypolitan halls of Nashville, the brass band marches of New Orleans, and anywhere along the East Coast where an acoustic guitar and songwriter might have met. Swap East Coast for West Coast and that’s them exactly. 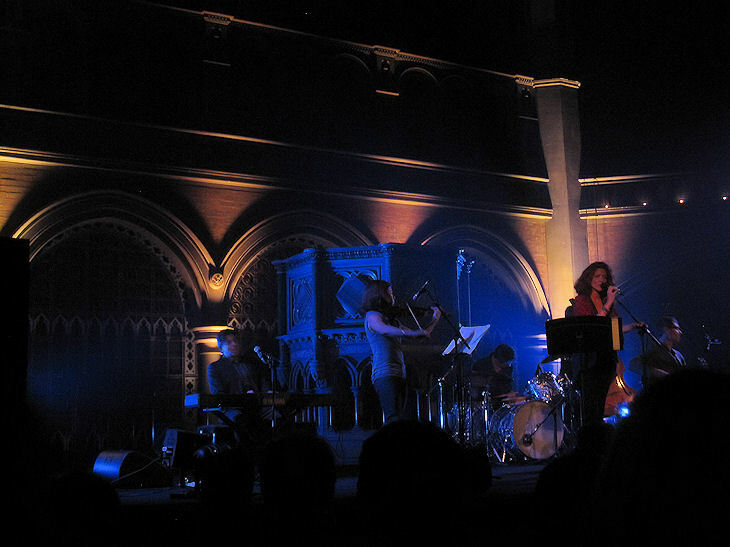 This Union Chapel show, as I said in the post linked to above, was one of the best experiences of my life: an incredible performance in a beautiful space of a group of wonderful songs. Just witnessing it with each other brought Mel and me closer together; I could feel it happening during the show. And it reawakened me to the power of live music. Since then I’ve seen several more gigs, some good, some great; some with Mel, some with friends. Midlake at Shepherd’s Bush with Mel, where we ran into Kit Joliffe with whom I play in various people’s bands. Jon Auer at the Islington with Kristina (aka Sumner, whose band I play drums in). Jonny Greenwood and the London Contemporary Orchestra at the Roundhouse in Camden with my friend (and boss) Sara. I’ve seen Mel play her first open mics. She’s seen me sing my songs on stage, and play bass, drums and guitar with other people, too. Before the year’s out, I’ll see Spoon, Throwing Muses and Sebadoh; new favourites and old favourites. Live music is, rather to my surprise at this point, quite a big part of my life again. Once again it feels like a powerful, potentially transformative force. This entry was posted in General, Music and tagged acoustic guitars, ambient mics, attack, audience perspective, Audio, Audio Engineer, audio engineering, Brooklyn, brushed drums, Carry Me Home, Catherine Popper, church, close listening, close mics, compression, country music, countrypolitan, Dan Messe, Departure and Farewell, double bass, drum sounds, drummer's perspective, engineering, Eveningland, fiddle, folk, Gary Maurer, gigs, gothic revival, Heather Zimmerman, Hem, Jon Auer, Jonny Greenwood and the London Contemporary Orchestra, Kit Joliffe, Lazy Eye, life-changing gigs, live music, Live music vs recorded music, Melanie Crew, Midlake, mixing, New York, orchestra, overheads, Pacific Street, panning, pedal steel, popmatters, production, Rabbit Songs, records that sound great!, release, Ross Palmer, Sailor, Sally Elyson, Scott Elingburg, Sebadoh, sound recording, Sound recording and reproduction, Spoon, Stereo, Steve Curtis, strings, that seventies sound, the Nashville sound, threshold, Throwing Muses, Union Chapel on September 2, 2014 by rossjpalmer. Let’s get right to the point. 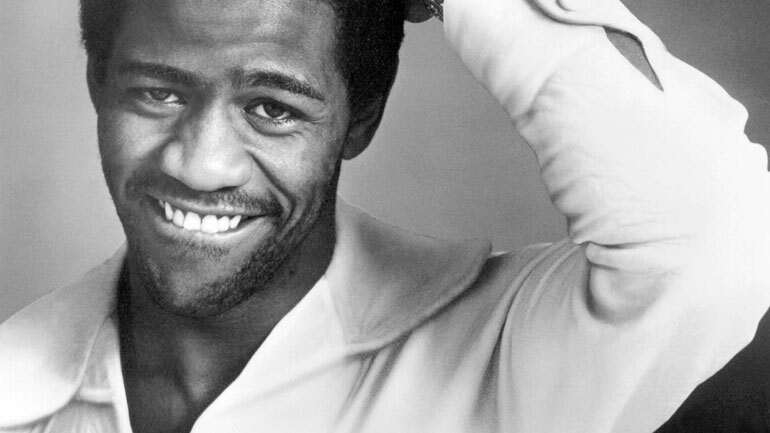 Let’s Stay Together by Al Green is one of the most glorious records in popular music. If you drew a Venn diagram of all the different kinds of soul music, from the roughest Southern cut to the most sophisticated and classy Philly soul ballad, Let’s Stay Together would be in the middle. It’s raw without being rough, sweet without being cloying, smooth without being bland. If you like deep soul with a small-band feel, the core of Let’s Stay Together is the rhythm section, organ and one guitar. If you like horns and strings, you’ve got them too: a couple of horns on the right, playing the iconic off-beat lick that opens the song, and a small string section on the left. The guys who made Let’s Stay Together knew how to put together a hit record. The song was written by producer Willie Mitchell and drummer Al Jackson, Jr. Jackson still played on Hi Records sessions as a favour to Mitchell, even though he had enough work on his plate to keep him busy every day of every week, and it was he came up with the rolling beat that defines the song’s rhythmic feel. It was presumably played by him on traps kit and Howard Grimes (who was Green’s drummer when Jackson wasn’t around) on, I’d guess, congas. It’s one of the greatest drum tracks in pop music, instantly addictive and endless satisfying. Mitchell could have put that out with just Green’s vocal on top and it would have got to number one just the same. But the record has so much else to offer, Green’s vocal being a key part of its charm. Green was somewhat unsure about singing softly and making such prominent use of falsetto. He’s grown up as a something of a shouter with bluesy, Otis Redding inflections. Mitchell coached him to tone it down, to speak softer and mean more. The result was a career-defining performance, and turned ‘Al Green’ into a sort of shorthand when describing male soul ballad singers. There’s a sort of alchemy present in Let’s Stay Together: the warm and inviting instrument sounds; the sense of vocal power held in reserve; the extreme discipline of the musicians (listen to every instrument in turn: no one’s playing much). There’s a couple of dozen live versions of this song on YouTube if you want to spend an hour or so going through them. None of them is a patch on the studio version. It was a once in a lifetime moment for Green. And he didn’t know it at the time, fighting Mitchell over the song for days before finally giving in and recording it. Sometimes musicians are the worst judges of their own work. This entry was posted in Music and tagged Al Green, Al Jackson, bass, drum sounds, drummers, drummers who can drum/singers who can sing, Drums, engineering, falsetto, great drum sounds, great records, guitar, Hi Records, horns, Jr. Al Jackson Jr, Let's Stay Together, organ, Otis Redding, Philly soul, production, recording, records that sound great!, rhythm section, rolling groove, soul music, southern soul, strings, two drummers, Willie Mitchell, youtube on July 1, 2014 by rossjpalmer. Hi there. This is a rewritten version of a post from last spring, one that in retrospect I was really unhappy with, that didn’t capture much of what I like about this song and the band who performed it, and instead got bogged down in a discussion about genre names. This version contains much more of what I wanted to say. I heard quite a lot of country music as a child, on Music for Pleasure compilations my parents had on cassette. My mother was a Crystal Gayle fan too. Those two names will probably tell you what sort of country we’re talking about: orchestrated Nashville country, 1970s pop country, records that play in the space between countrypolitan and chamber pop, in the space between sophisticated and cheesy. It’s a difficult area to work in. You can come off precious, or bland, or bloodless. It takes a good song, a sensitive singer and skilled arrangers to pull it off. Even then, what sounds wonderful in a single-song dosage can sound unambitious — rote, even — if turned into a formula, the way Billy Sherrill did with Tammy Wynette in the late 1960s and 1970s. As good as those records are (and the best of them — Till I Get it Right, You and Me — are magnificent), there’s something disquieting about listening to them in sequence. It’s the sound of an artist being squeezed into a mould and losing their original form in the process. Anyhow, this kind of music doesn’t get made in Nashville anymore. And as there were a great many country fans who didn’t much like it in the first place — thinking it too polished, too restrained, too produced, too far away from how Hank had done it — many don’t really care. I like it, though. It pushes all kinds of buttons in me. And so I like Hem. A lot. Seeing them at the Union Chapel last year with Mel was one of the best experiences of my life. Hem are a band from Brooklyn who play acoustic, orchestrated music that’s pretty clearly derived from the countrypolitan sound of the 1960s and 1970s. Oddly, they seem slightly loath to admit it – Dan Messe, the group’s principal songwriter, recently said Hem are at heart a folk band, which seems odd since their first two albums (the beautiful Rabbit Songs and the even lusher Eveningland) are their most countrypolitan. Countrypolitan, as exemplified in, say, the recordings Glen Campbell made of Jimmy Webb’s songs, is characterised by its smoothness, downplaying (but not excising) the traditional roots-country instruments such as fiddles and pedal steel and using instead full orchestra or large string section, brushed drums (not always, but the drums are never emphasised in the mix no matter how they’re played), fingerpicked acoustic guitar, and a gentler, more intimate vocal style than could ever be deployed in honky-tonk country music. That’s the kind of music Hem make, and no singer is gentler or more intimate than Sally Elyson. Unlike, Wynette or Patsy Cline, there’s no hint of vocal power held in reserve. Elyson sings gentle always, sometimes in a near whisper. I’ve banged on plenty in the last year or so about sound quality a lot. Probably too much. It is important to me though. I spend a good amount of my waking hours thinking about it. Few people currently working make records that sound as good as Hem’s. Their records are engineered and mixed in ways that buck most of the current trends: they record to tape, they don’t use extravagant equalisation or heavy compression. They focus on space, balance and attention to detail. Messe, Steve Curtis and Gary Maurer are skilled players (as are their collaborators, such as Heather Zimmerman (Messe’s sister) and double bassist George Rush), but their playing is unshowy but empathetic. This music, and their approach to, is disciplined. That maybe makes them sound blander than they are; their restraint in no way signifies a lack of passion. When making Rabbit Songs, Dan Messe sold his apartment and most of his things to pay to work with an orchestra because he wanted to get the album right. Eveningland drove the band to bankruptcy. The group and their collaborators (a large team of players, arrangers, engineers, assistants and mixers are credited on their records) clearly understand what a remarkable singer Elyson is, and so they give her voice the space it deserves, and they don’t stint when building the tracks that support it. Pacific Street is the penultimate track from their 2004 album Eveningland. It’s less representative of their early sound than something like Carry Me Home (not a Gloworm cover) or Receiver from the same album, or Lazy Eye or Sailor from Rabbit Songs — it lacks the acoustic guitars, fiddle and the pedal steel that create so much of the mood of those records — but in its intimacy, its focus on the small moments in life and relationships, it’s wholly characteristic. And as ever, it’s beautifully performed and arranged, Catherine Popper (a former member of Ryan Adams’ band the Cardinals, and the rather less subtle Grace Potter & the Nocturnals) doing especially great work on double bass. This entry was posted in Music and tagged acoustic guitars, Billy Sherrill, Brooklyn, brushed drums, Carry Me Home, Catherine Popper, country music, countrypolitan, Crystal Gayle, Dan Messe, double bass, engineering, Eveningland, fiddle, folk, Gary Maurer, George Rush, Glen Campbell, Gloworm, Grace Potter & the Nocturnals, Hank Williams, Heather Zimmerman, Hem, Jimmy Webb, Lazy Eye, mixing, Music for Pleasure, New York, orchestra, Pacific Street, Patsy Cline, pedal steel, production, Rabbit Songs, records that sound great!, Ryan Adams, Sailor, Sally Elyson, sound recording, Sound recording and reproduction, Steve Curtis, strings, Tammy Wynette, that seventies sound, the Cardinals, the loudness war, the Nashville sound, Till I Get it Right, Union Chapel, You and Me on May 22, 2014 by rossjpalmer.